User can select multiple emails from each mailbox at a time and export them in a single go, a user also can create a New Folder to save file within software in the desired location of the system. A Simple and user-friendly interface, which help even a novice user to convert PST file into MSG format, without any difficulties. Interactive graphic with simple messages, that helps user to complete their conversion within less time. While converting PST File into MSG format, a user can select different naming convention option to save the emails according to desired need. An option such asSubject+Data, Date+Subject, etc. By default, all emails saved by “Subject” convention. To export particular emails of PST Files between specific dates, users can apply a date filter and select a range of date using "from and "to" option and export only particular emails related those dates. 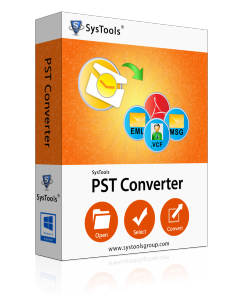 PST to MSG converter supports both Outlook Old and New PST File format such as ANSI & UNICODE file extension. Software converts emails of both file extensions into MSG format without any compatibility issues. After loading the file in converter tool, software display all list of emails with different attributes such as from, to, subject, size, send, receive etc. A user can use these attributes to sort them according to ascending or descending manner. 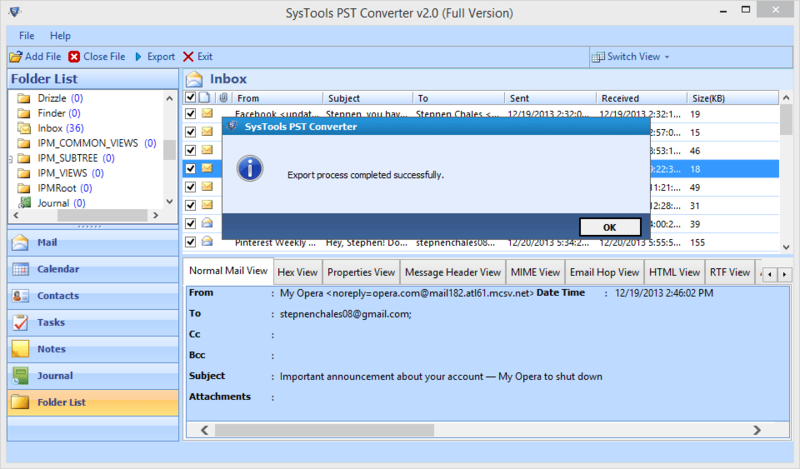 A PST to MSG Converter can be used to convert the emails stored in Outlook PST File into MSG format. As MSG file supported by various Emails clients and Mail Servers.	. Software uses advance scanning option to scan highly corrupted pst files and display emails according to attributes and also provide a data filter naming convention option during the conversion process of PST to MSG File extension. Microsoft Outlook uses PST File to store mailboxes, tasks, notes, journal, etc. where on other hand Outlook & Exchange uses .msg file extension to store file items. An MSG file stored header in Plain ASCII Text, and hyperlink in the main body of the message. Sometimes due to corruption in PST file, we have to convert PST file into other emails client format such as MSG. Even sometimes we have to convert some specific emails of PST files, rather than a whole PST emails file, to solve this problem, a user can for PST to MSG Converter. Install & Run PST To MSG Software. Click on Add File option to start the process of conversion. Browse the location of PST File in the configured system. To scan highly corrupted files, check the box of "Advance Scan". After Complete Scanning, To export selected emails, click right on it, select Export option. To convert PST to MSG format, Check Radio Box of MSG option and browse the location of destination path to save file. A Windows pop with a message "Export process completed successfully" appear after successfull conversion..
PST To MSG Converter - Doubts & Queries! How can I export Emails of Particular dates? 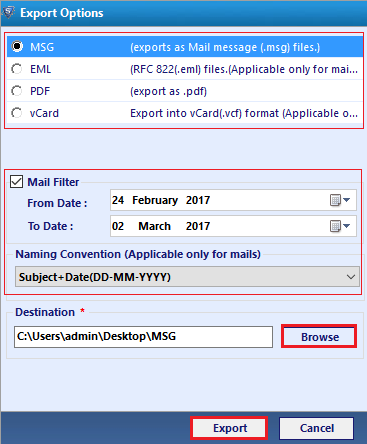 Yes, you can convert PST emails to to MSG of specific dates, by selecting the particular Dates in "From" and "To" section of dates, User can export specific emails of particular dates. Do Converter support Windows 8.1 version? Yes, Software support latest version of windows and all below version of Windows..
Can I convert multiple emails of PST File into MSG format? 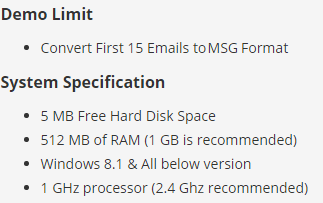 Yes, User needs to just check the box infront of emails within the software to export PST emails into MSG Format. 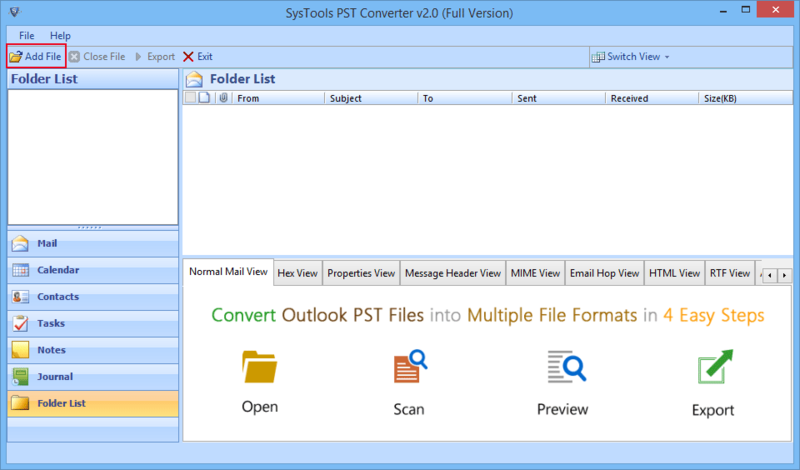 To convert Outlook PST to MSG format can be a difficult task, as it took efforts and time to convert each email into msg file using the manual method. An Automated PST to MSG Convert not only save time by converting a large number of emails in few clicks but also prevents any data loss during the conversoin process. 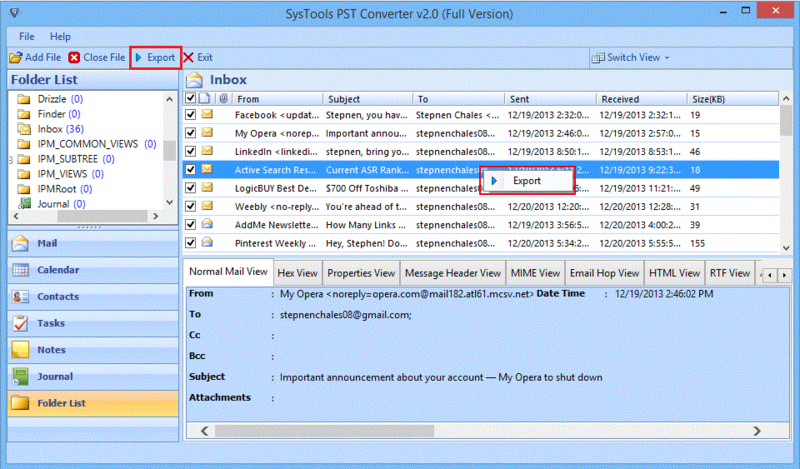 Outlook emails provided me a great tool to convert PST file into MSG format, in great price. The software provides different view options like Hex View, Email Hop view, Properties view, that helps a lot to understand background details of PST file. During searching solution to convert PST File into MSG Format, finally reached to PST Converter tool, that easily convert files in the MSG format. Thanks to developer team for the solution. Demo version of software, works very well, fully satisfied with features of the software, now going for the full version to convert my all emails of PST files in the MSG format.